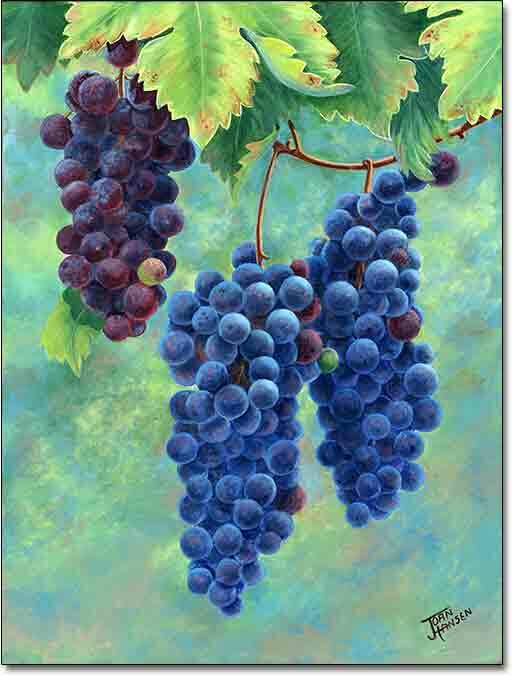 Some friends of the artist grew these zinfandel grapes on their property, and asked Joan to create this memory for them. This painting was created with acrylics on canvas. To purchase a signed print of this image, click on the Add to Cart button to complete your purchase.